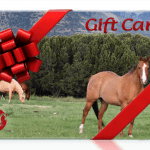 Goodnight offers 2- to 5-day clinics on topics ranging from general horsemanship to wholeness retreats, ranch riding and trail riding; open to riders of all breeds, disciplines and ability levels. Bring your horse and get personalized coaching or come as a spectator and learn from observing Goodnight work with all the horses. Bring your horse/s and work with Julie to improve your horsemanship. Stabling available (extra fee); school horses available at some sites. $400.00 for both days; to register call 719-530-0531 or register online when you choose to pay the full amount. You may select to pay the non-refundable deposit of $125.00 if you register by phone or online. Full payment required 60 days prior to the clinic. There will be two sections of riders– a maximum of 12 riders in each section; Julie will place the riders in the section according to your Personal Profile, which you will complete after registering. 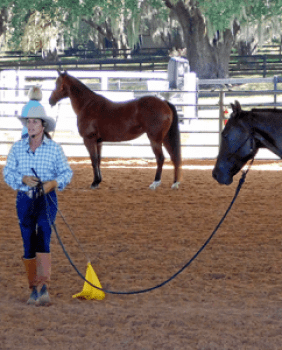 Each section will have two sessions a day in the arena with Julie; two hours of ground work in the morning and two hours of mounted work in the afternoon, plus practice time, with Julie’s assistant. 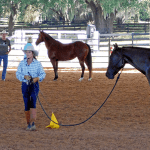 The focus is on building a better relationship with your horse, improving your riding skills and gaining more authority over your horse, both from the ground and in the saddle. FREE SHIPPING to the US | Coupon Code: Spring19 7 Days 11 Hours 22 Minutes 12 Seconds Left!